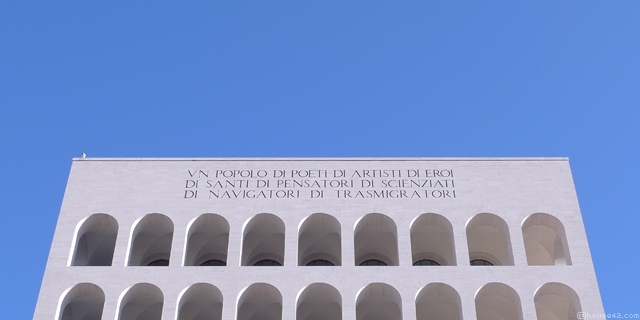 We’ve been waiting since last Spring the restoration of the Palazzo della Civiltà del Lavoro to be over. 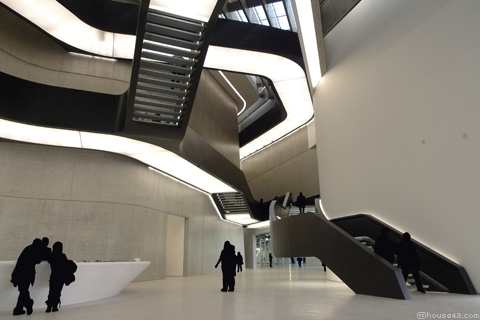 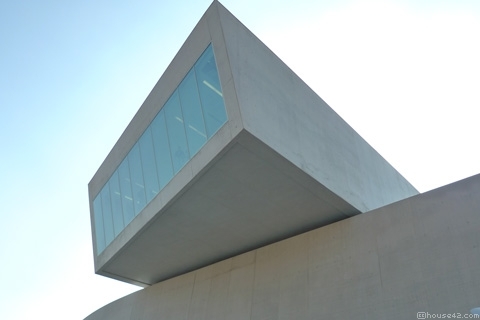 The topmost gallery overlooking the new public piazza is for sure the mark of the MAXXI museum. 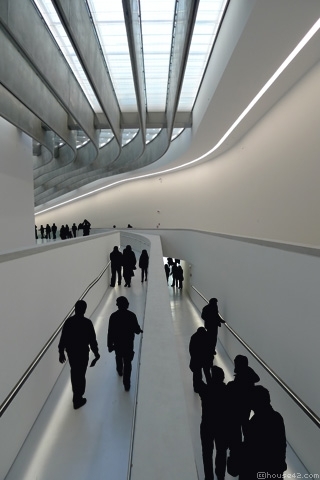 Eventually the MAXXI museum opened to the public for a limited period, still empty as the official opening will be next Spring. 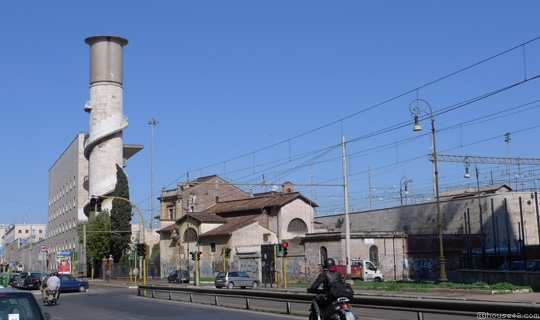 A cylindrical tower with dizzy helicoidal staircase is visible on both sides of the 20-tracks-wide railway leading to Termini Station.